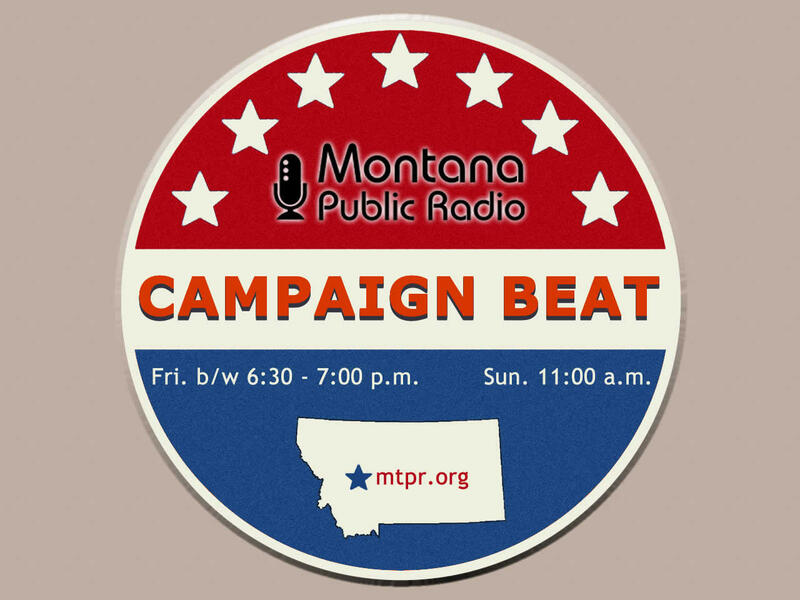 Sally Mauk: Welcome to "Campaign Beat," our weekly political analysis program. 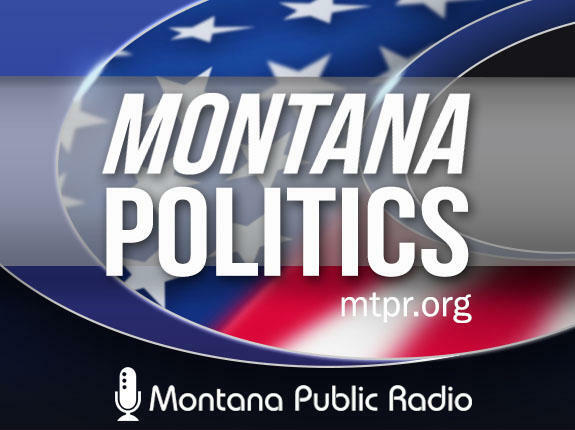 I'm Sally Mauk and I'm joined by University of Montana Political Science Professor Rob Saldin and veteran Capitol Reporter Chuck Johnson. And Chuck, the four Republicans — Russ Fagg, Troy Downing, Matt Rosendale, and Al Olszewski — who hope to win the right to challenge Democrat Jon Tester for his Senate seat had their first debate this week in Bozeman. And listening to their answers on everything from abortion to gun control to energy development, I didn't see a hair's breadth of difference among them on the issues. Did you? Chuck Johnson: No, I thought they were very similar on the issues. Part of the reason too, was that debate did not ask them all the same question. They had a broad immigration section, but they asked each of them different questions regarding immigration not the same one. So it was hard to compare positions. But in general, I didn't see any difference at all. SM: The theme of their stand on these issues was, 'less government is the best government.' And these are classic Republican themes I think. CJ: That's right. They wanted less government. They wanted to try to cut down the deficits if they can. All of them were against legalized abortion. All of them wanted more natural resource development. It was pretty standard Republican fare. SM: Stylistically, Chuck, they are very different, and I think that showed up in the debate. Rosendale and Downing are what I would all pugnacious. Olszewski and Fagg more reserved, almost scholarly. And in the times we're in, the former style may play a little better with the current audience they're trying to reach. CJ: Could be Sally, could be. I thought Rosendale is clearly the front-runner, it appears, and he acted like a front-runner and ... almost seemed like he wanted to move on to Jon Tester right away. He talked about that a few times. Downing, it's the first time I've seen him debate, and he was pugnacious at times, but I thought did a fairly good job. Fagg was, for lack of a better word, kind of the establishment Republican. He didn't engage in attacks much at all. And Olszewski called himself the dark horse and said he has a lot of the same qualities as the other four; he's a veteran, he's a Montana native — which, two of them are, two of them aren't, he served in the military and as a doctor in Great Falls and other places. So he was kind of saying, I've got the best qualities of all of them. SM: And Downing, meanwhile, tried to portray himself as the outsider. But he also could be criticized as the outsider, as one of the questions to him was bringing up the whole court date e faces over being accused of buying illegal hunting and fishing licenses because he bought residential licenses when he was not a resident. And he had a very targeted answer to that question Chuck. CJ: He contended that he was set-up and that he's very confident he'll be acquitted. He said he's never been in trouble over anything in his life and this was basically a Democratic setup, or a liberal setup, that they went to get him and they got him and he's confident he'll be acquitted. SM: Yeah. He said it was an attack from the left. And of course the charges are coming from the state Fish, Wildlife and Parks Department. CJ: Which he, I think, called "the dark state" at one point, didn't he? CJ: Right, deep state, yeah. SM: Rob, the state Democrats have maybe given a hint of who they think is the Republican front-runner in this race. And they've released a new digital ad attacking Matt Rosendale as an outsider from Maryland. Democratic ad: "He has a pretty thick Eastern Maryland accent. In the state auditor's race we didn't hear from Matt Rosendale in terms very much in those advertisements, and I think that was on purpose because he doesn't sound like a Montanan." Democratic ad: [Rosendale recordings] "Citizens of Montana. The people of Montana. Citizens of Montana." Rob Saldin: Right. Well, I think your lead in, well, it was exactly right. I mean, this clearly indicates the Democrats either think Rosendale is going to win the primary, or consider him to be the strongest of the Republican candidates, or both. And this line of attack about not being from Montana, it's something we've seen before. It was used very heavily against Greg Gianforte in the governor's race a couple of years ago. It's maybe somewhat less ridiculous in this context because Rosendale he does say "Montanans" in a slightly strange way. And he's also only been here 15 years, or something like that. He didn't raise his family here or make most of his money here, whereas Gianforte did do those things. Rob Saldin: But still, to me, there's something a little off-putting about the Democratic Party, which likes to see itself as diverse and inclusive and welcoming of all types of people, to routinely suggest that we should be suspicious of people who aren't like us and for instance, have only been here 15 years or something like that. That said, I do think this appeal works, and it resonates with a significant slice of Montanans, and that's of course why they do it. And it offers also a big contrast in terms of Jon Tester's biography. You know, one little wrinkle on this point though, is that you look to the Democratic candidates on the U.S. House side, the two, kind of, front-runners in that race — Grant Kier and John Heenan — they're imports too. So that's a little bit of a double edged sword for Democrats in this cycle. The other rap against Rosendale, Chuck, is that he is so politically ambitious he keeps moving from one office to the others: a state legislator then a state auditor. Now he's running for the Senate. And he addressed that last night in the debate. CJ: One of the questions said if he got elected that would give Governor Steve Bullock, a Democrat, the right to appoint Rosendale's successor, and he undoubtedly would appoint a Democrat. And Rosendale said something to the effect that, well it doesn't really matter who holds the auditor's office as long as Republicans have a majority on the state land board — which is now four to one Republican. But I thought it was sort of an odd dismissal of what the auditor does, saying it doesn't really matter who holds the office. I would guess if he were to win the primary and win the general election, the Democrat that Steve Bullock would install in that office would be the odds-on favorite to be elected in the 2020 election. So, it was sort of strange, but that's what he said. SM: Well, it was an interesting debate, and I think one that certainly gave voters a good exposure to the candidates that are running for that Senate seat from the Republican side of the aisle. Rob, a Democratic activist this week was charged with assault for physically attacking, allegedly, Interior Secretary Ryan Zinke's spokeswoman Heather Swift. And this was a scary encounter, and this guy had apparently caused some trouble for them before. RS: Yeah, kind of another in a string of disturbing violent events that we've seen recently. I mean, most notoriously was last summer before the congressional softball game, which is kind of a big deal back in Washington, the Republicans were out in practice and somebody came and started shooting at them. And of course, outside of actual violent events, we just see an increase in violent rhetoric. Right? Even just this last week, a little spat between President Trump and former Vice-President Joe Biden. And then, throughout the 2016 campaign at Trump rallies there were a lot of incidents and many of them seemingly came with the encouragement of Donald Trump. SM: The Biden-Trump threats of fistfights and everything — it seems a new low to have two 70-something men sounding like 7-year-olds. A former vice-president and a current president. It's appalling actually. RS: Absolutely. And you know, we should obviously distinguish between something like the attack on Zinke's spokeswoman, and the congressional baseball shooting, and something like that that's just — I mean, you could kind of brush it off as silly rhetoric, but it's also kind of indicative of the times, I think, and it certainly is a disturbing trend. SM: Chuck, a last-minute contested Green Party Senate primary race between Steve Kelly and Tim Adams of Bozeman means some extra ballot printing costs for county election offices. CJ: That's right Sally. The Secretary of State Corey Stapleton said they would need to have a Green Party primary, which means county election officials will have to print up a number of ballots, besides the usual Democratic and Republican ballots for the Green party ballots. And this is interesting because in 2012 when Linda McCullough was secretary of state and we had two Libertarian candidates file for the U.S. Senate, she said that we don't need a Libertarian Party primary, that she would just put both of the names on the ballot in November along with Senator Jon Tester and Congressman Denny Rehberg. And as it turned out, one of the Libertarian candidates dropped out. So we were left with Dan Cox as the only libertarian, and he just appeared on the general election ballot. But it does cost money, and it does cost a lot of money to print ballots, and complicates things in a lot of ways for election officials when they have to count three sets of ballots. SM: The other wrinkle is that voters can write-in Green Party candidates for other offices on that primary ballot, which would put more names — more Green Party candidates ostensibly — could put more of them on the November ballot. CJ: That's true, and I would imagine there'd be a concerted effort to do that for certain offices. SM: Rob, going into the midterms, Democrats across the country are excited about their long-shot wins in places like Alabama and Pennsylvania recently, and they're hoping that means the national tide has turned in their favor. How does that translate, if at all, to Democratic chances in Montana, do you think? RS: Well, it's certainly good news. You know, another little piece specific to Montana is that this is obviously Gianforte's first run at getting reelected. And if you're going to beat somebody, history shows that it's usually easiest to beat him that very first time. But in addition to that, all the national trends suggest that it's going to be a good environment for Democrats. There's been a very high Democratic turnover in the special election. Democrats have won some of these special elections. The ones that they haven't won they've been closer than they historically have. So, all of this is good news for Democrats. One little wrinkle internally within the party: I think it's brought up this kind of old debate about whether you want to put up a more moderate candidate or whether you want to offer a real contrast. And Republicans have this own debate within their party too. But I think this environment does give a little bit of a boost to the people who say, look, we should try to offer up a moderate candidate. Basically: everything is going in our direction, our trick here is to not screw it up. And so, to offer the least offensive person. Elaine Kamarck, a well-known Democratic strategist back at the Brookings Institution in Washington, put it at an event a few weeks ago: we want to put up the most boring candidates possible. Right? Just as a way to let the natural trend play out. SM: 'Vote for me, I'm boring.' That doesn't sound like a good campaign slogan. RS: At least some Democrats are saying that now. You could also say, well those Democrats who are saying that are also the ones who tend to be in favor of that in general. But I think the current environment does boost that argument a little bit more for this particular cycle. SM: You've been listening to "Campaign Beat," our weekly political analysis program. 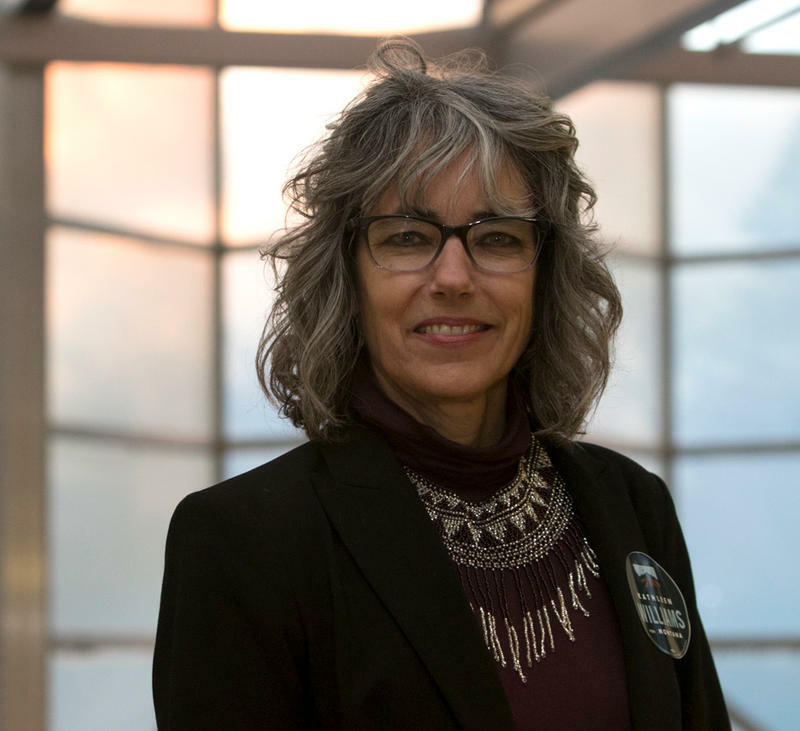 I'm Sally Mauk and I've been speaking with University of Montana Political Science Professor Rob Saldin and veteran Capitol Reporter Chuck Johnson. Thanks guys and we'll talk again next week. 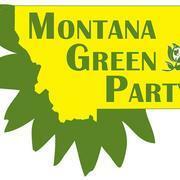 After denouncing one of its candidates last week, the Montana Green Party has received commitment statements from five remaining candidates running for congressional and state legislative seats. Sally Mauk, Chuck Johnson and Rob Saldin discuss The Green Party's possible role as election spoiler; dissect the new campaign ads; and weigh in on press censorship in the Flathead, Sheriff Clarke's urgent call to anger, and Joe Biden's lament of the degradation of the Oval office. Listen in now on "Campaign Beat."